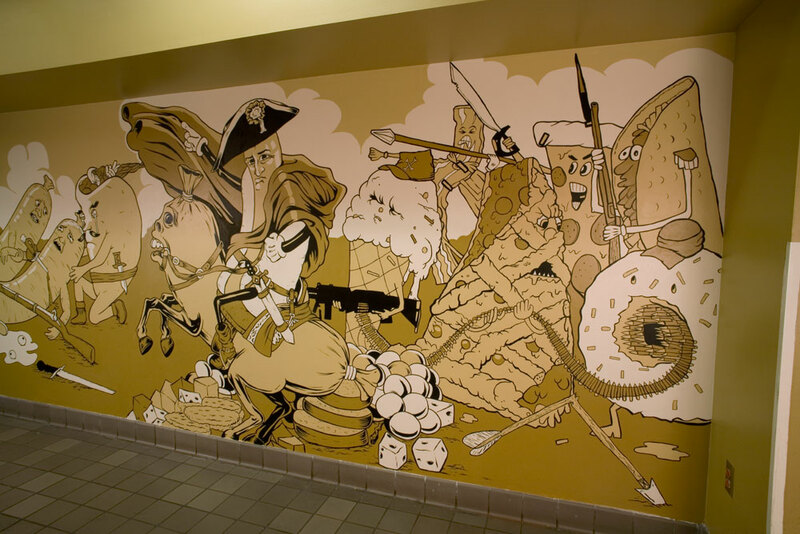 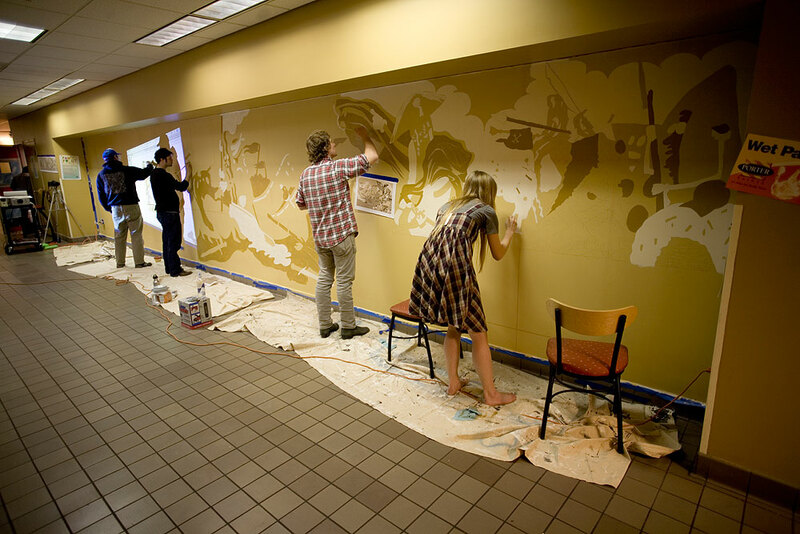 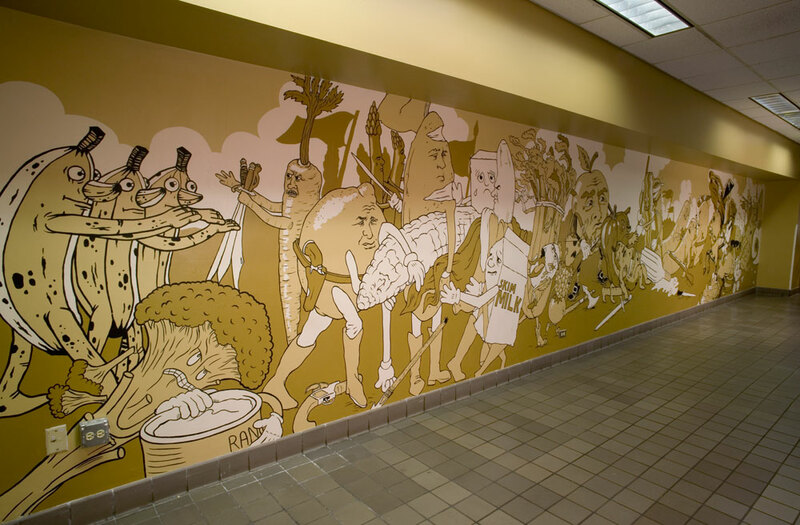 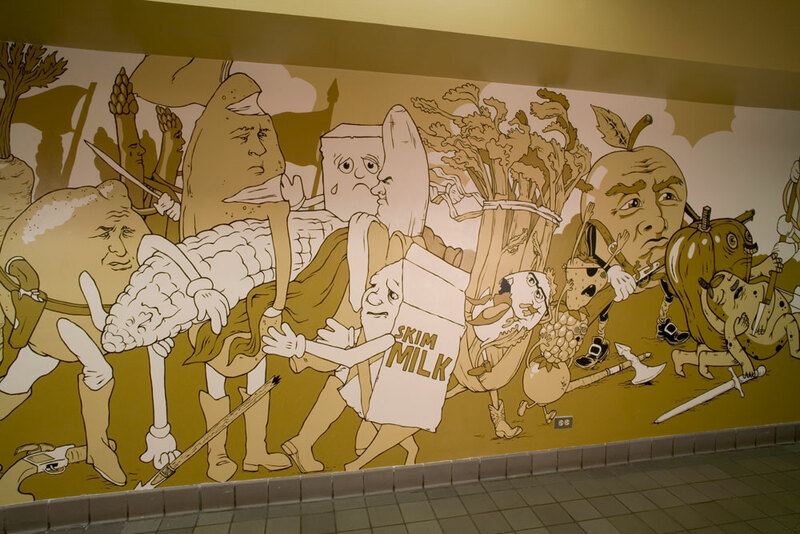 Commissioned by Vanderbilt University, Food Fight fills a long hallway leading to an on-campus student cafeteria. 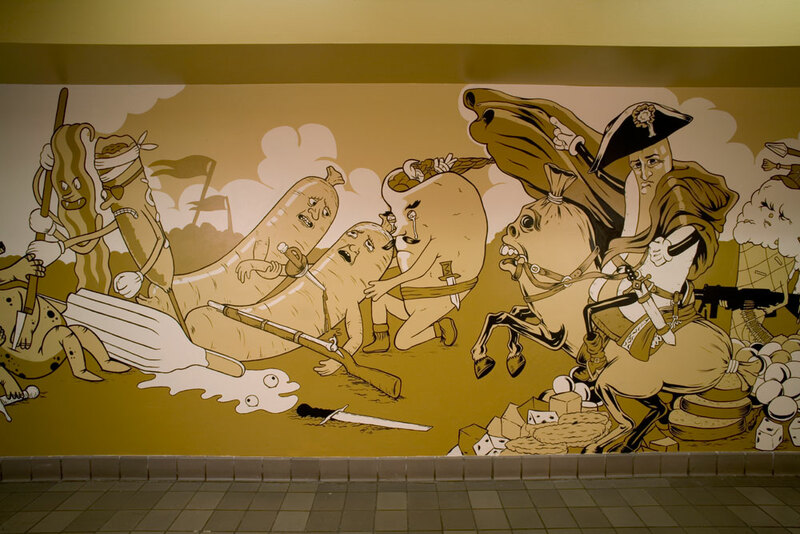 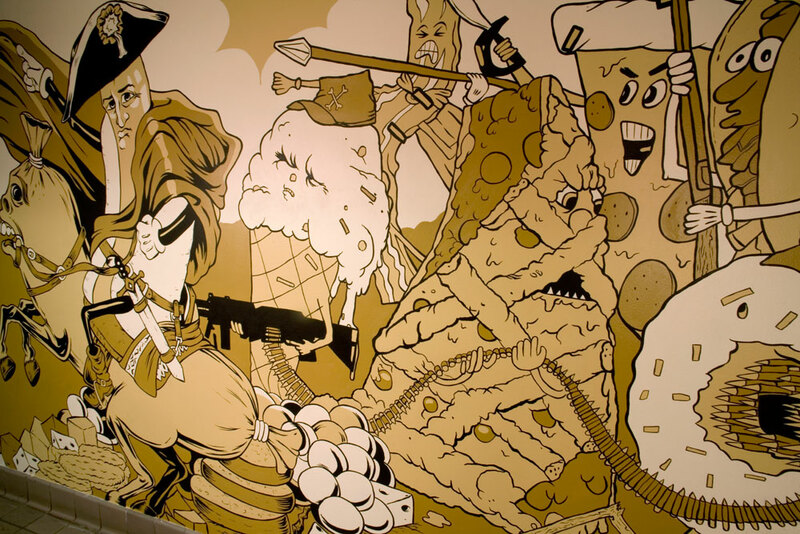 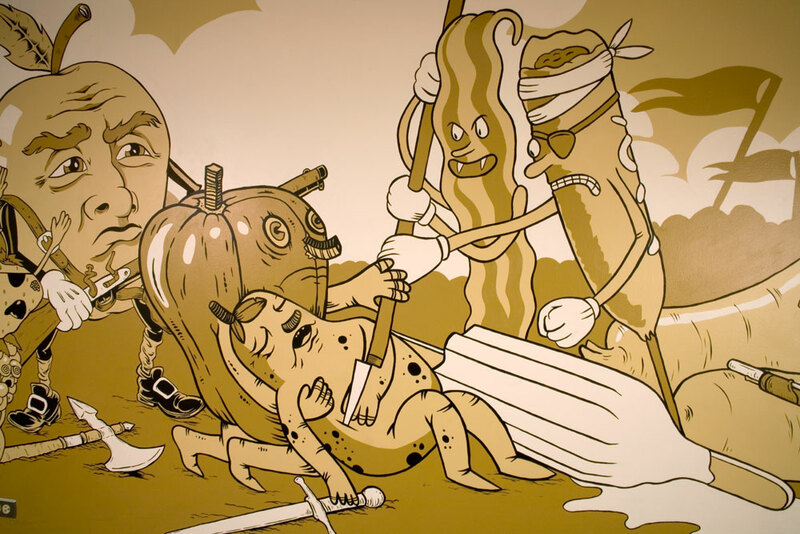 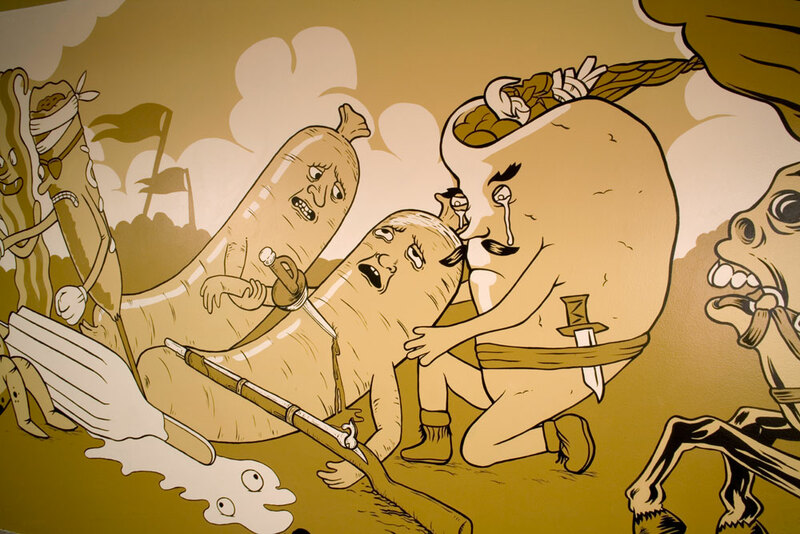 The site-specific mural depicts an ongoing battle between health and junk food, with the poses and figural arrangements borrowed from various renowned historical paintings. 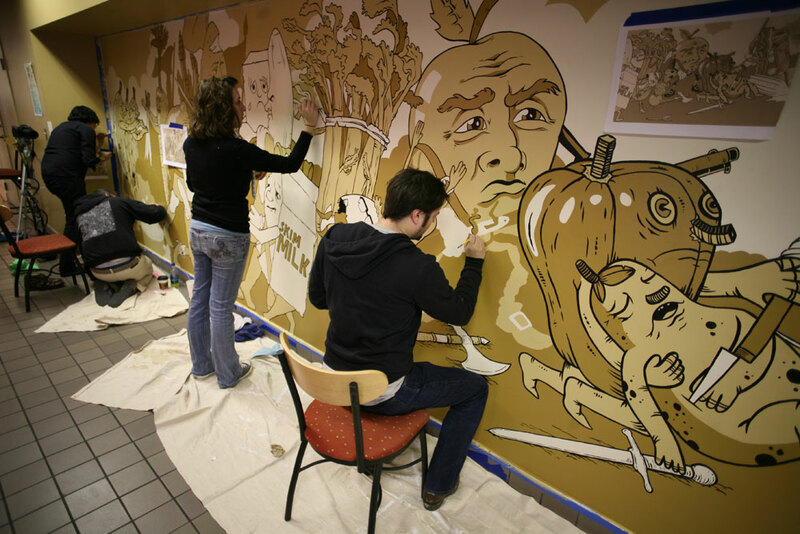 The project contains drawing from all collective members, giving it is stylistically varied character, and was completed with the help of student volunteers.